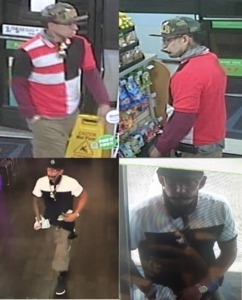 Police are searching for a man they say is responsible for several armed robberies that have occurred in the Las Vegas valley between May 31 and June 7. During the robberies, the man enters the business and approaches the employee at the register. The man then takes out a gun and demands money from the employee. He then takes the money and leaves. The suspect is described as a Hispanic man in his mid-20s, between 5-feet 7-inches and 5-feet 10-inches tall, with a medium build. He was wearing different clothing for each robbery.